Look around any major city and you’ll see the names of the biggest corporations plastered on the grandest buildings. Scores of companies from Dubai to Dallas have made their glimmering headquarters the public face of their economic might. The bigger the building, the more clout the brand. But look around Buenos Aires and there’s one name you won’t see on a skyscraper. Globant is a technology company started by four friends in a bar in 2003. 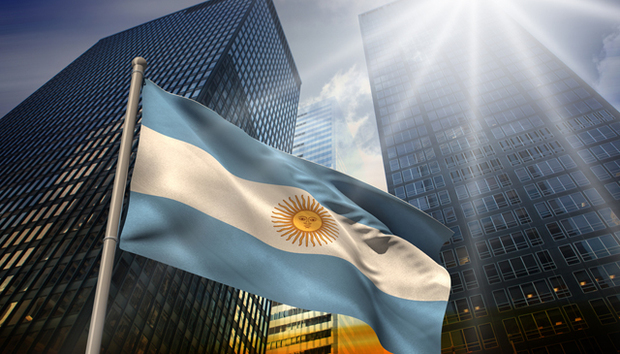 From their base in Argentina, the scrappy founders set their ambitions high. “Our goal is to be the world leaders in creating innovative software products,” they said. Boosted by A-list clients like Disney, American Express and Coca-Cola, Globant quickly spread to eight countries, its annual revenues topped $150 million; its workforce swelled to 3,000 people. As Globant’s reach grew, the founders faced a familiar decision. They needed to expand their operation and rally their workforce for a new phase of growth. The easiest way to do that would be to consolidate everyone in a flashy, state-of-the-art headquarters. The press would write about it; competitors would take heed; the world would be on notice that a Major New Player had arrived. In short, everyone would love it. Everyone, that is, except their employees. Globant had made workplace culture the heart of its identity. It promoted team-building initiatives like Stellar, a peer recognition program in which workers, called Globers, could award gold stars to colleagues for promoting core values. It allowed employees to compete for new projects. When Nike invited Globant to bid for an ad campaign, the company didn’t turn to its marketing team. It hosted a crowdsourcing session in which everyone in the company had a shot. One hundred Globers submitted ideas; Globant won the account, and the Glober behind the winning submission got an iPod. Nothing tested Globant’s employee focus more than the question of where they would work. The founders’ instinct was to assemble everyone in a downtown tower. But when they plotted employees’ addresses on a map, they quickly discovered that almost no one lived downtown. Forcing employees to waste time in long commutes would rob them of personal time and violate one of the company’s core values; Globers set their own schedules. So the founders took the opposite tack: They built three smaller offices whose locations were chosen to minimize travel times. The story of Globant’s invisible headquarters perfectly captures the first major issue I feel you need to consider when focusing on today’s workers: You have to know what motivates them. If you think it’s primarily money, think again. The biggest single change in the workforce of the entrepreneurial age is the list of priorities workers bring to the job. Paycheck is on the list, but it’s increasingly crowded out by a host of new considerations: impact, freedom, quality of life.